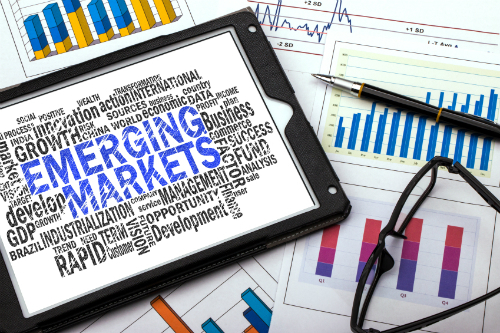 If you’re investing in emerging markets, you need to know about the world’s two main accounting systems: Generally Accepted Accounting Principles (GAAP) and International Financial Reporting Standards (IFRS). GAAP is used principally in the United States, although the Security and Exchange Commission is looking to switch to IFRS by 2015, the system used in the European Union and many other countries. Many countries have their own accounting systems, although most conform to one main system or the other as they work to keep their markets modern. All accounting systems follow double-entry practices that categorize transactions as revenue or expenses, assets or liabilities. The two primary accounting systems have a few differences between them that may affect the results. If you understand a little about both GAAP and IFRS, you can make a better evaluation of numbers from companies that follow neither system. GAAP are set by the Financial Accounting Standards Board (FASB, often pronounced as fazz–bee), an organization of accountants, financial analysts, and regulators who draw up accounting practices to meet ongoing changes in the markets. Every time some new issue comes up, the FASB studies the problem, develops a proposed accounting procedure, and sends it for review and comment to different users of financial statements, including corporations and analysts. Smooth presentation of earnings: One of the hallmarks of GAAP is an emphasis on smooth earnings results from year to year. The idea is to give investors a sense of normalized results rather than the actual cash in and cash out. For example, taxes are reported based on statutory rates, no matter what a company actually paid. Capital purchases may be depreciated over several years instead of taken as expenses in the year acquired. Although the results are designed to be smoothed, they fluctuate from quarter to quarter and from year to year. The idea isn’t to make earnings look pretty so much as to help investors understand what average capital spending or average taxation should be. Disclosure: A company needs to explain its assumptions for different expenses. All the gory information is in the footnotes to the financial statements. Under U.S. GAAP, companies are required to disclose information about their accounting choices and their expenses in the footnotes. The notes aren’t easy to read, but they’re key to understanding the business and its financial statements. The IFRS were established in 2001 and adopted by the European Union in 2005. The hope is that all the world’s businesses will move to these standards to help investors and financiers all over the world better understand the financial situation of companies they invest in, do business with, or extend credit to. Also, a standard system is an incentive for newly capitalist nations, especially China, to develop accounting that meets world standards. Few of these differences are likely to cause major changes in any company’s reported results; a company with great results under GAAP won’t look terrible under IFRS, unless it got those results with an extraordinary item, which is an event that doesn’t occur on a regular basis such as a merger or a corporate restructuring. And because extraordinary items are disclosed, someone looking at the financial statements would be able to make the adjustment easily.